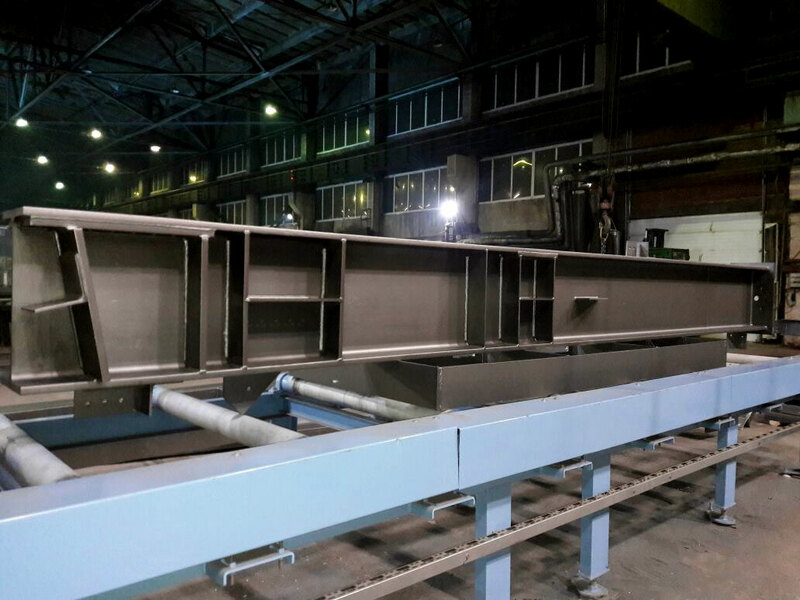 OmZM Metall, a manufacturer of large fabricated steel structures for buildings and civil engineering projects, has ordered one of the biggest roller conveyor blast machines offered by Wheelabrator for its facility in Omsk, Russia. The new machine, an RB 15/12X, will prepare welded and assembled parts before painting and shipping. The RB X roller conveyor machine is designed specifically for very large fabricated and structural parts, achieving superior coverage and blast results thanks to the angled positioning of its blast wheels. Machines in the range can be delivered with up to 16 blast wheels. The new machine at OmZM features eight TITAN blast wheels with 11kW each and can process parts between 2.4m and 12m length and up to 18t weight. 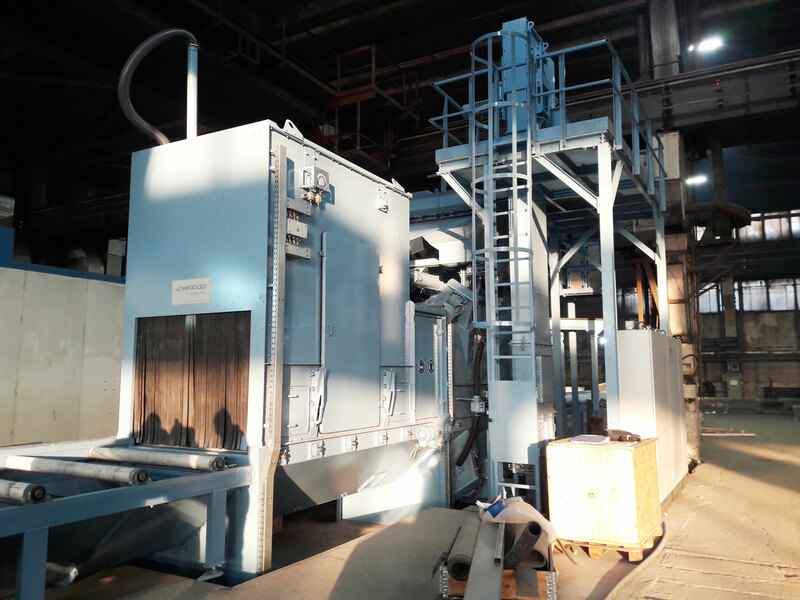 The purpose of the order was to increase capacity at the plant, where blasting after welding/assembly and before painting had previously been carried out in a manual airblast room, creating a bottleneck in production. With the old blast room, the plant produced an output of around 800t per month. The new machine achieves nearly double that at 1400t per month, thanks to its through-feed speeds of up to 2.5m/min for more complex fabricated parts and up to 3m/min for plate (both to a surface quality of Sa 2.5). The large opening of the RB X roller conveyor machine means up to 90% of all output at OmZM can now run through the new machine. The few remaining very large parts continue to be prepared manually in the old blast room, which is situated right next to the RB X. The new blast process creates a surface roughness of Rz 55-70µm as well as a peak profile for maximum paint adhesion, thereby improving the quality of both the coating and the final part overall. 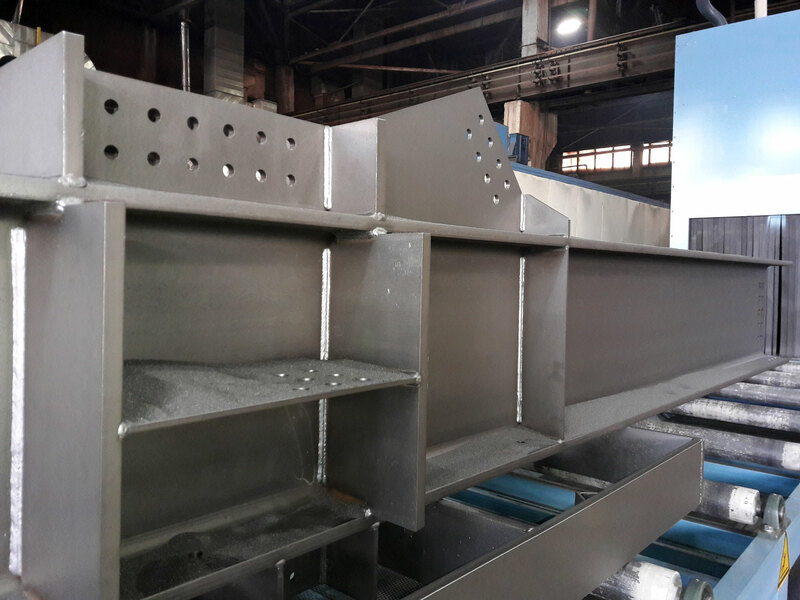 In 2011, OmZM had already bought a smaller roller conveyor machine from Wheelabrator’s Standard range for the blast cleaning of plate and profile before welding. The order for the RB X was awarded in 2016, following a competitive tender, and the machine was commissioned in January 2017. One of the benefits of the RB X compared to competitor machines reviewed as part of the tender process was the relatively shallow pit depth of only 600mm required for installation. This was important to OmZM due to the proximity of groundwater on site. Shot blasting, Descaling and Corrosion Resistance Technology for steel fabrications.